Driving Hadrian’s Wall: Start Your Engines! Over the years, I have cycled Hadrian’s Wall twice, walked it umpteen times, and lost count of the number of occasions I have driven along it. One particular project (recording the ambient sound at all the milecastles) required a combination of methods to reach all the sites in the time available. Every time I travel along it, however, I learn something new, whether it be from a book, the landscape, or something the Romans did that I notice for the first time. Exploring per lineam valli remains a delight. There are now several serviceable guides to walking Hadrian’s Wall in either direction, but how should those who don’t share a fervour for rambling see this marvel of the Roman Empire? Of course, long before walking the Wall became fashionable, motorists were exploring it – ironically one of the reasons the whin stone quarries at Walltown and Cawfields flourished, since they provided a durable stone for surfacing roads – and visiting by car remains a popular way to see the monument, especially for families. There are few guides that meet the needs of the motorist, however, one of the best (the Hadrian’s Wall chapter of Roger Wilson’s Guide to the Roman Remains of Britain) being long out of print and now out-of-date. This seems an opportune moment to produce a new one, therefore, which will meet the needs of those visiting by car, but perhaps tempt them into a little bit of walking to see some of the more rarely explored gems of the Roman frontier. The visitor may arrive in the region by train, boat, or plane and then choose to hire a car, in which case this guide will still be of use, but it must be anticipated that most motorists will drive from the north or south of Britain, in which case the Wall is supremely accessible and nowadays very well signposted. The main route to the western end of Hadrian’s Wall is the M6 from the south or M74 from the north (the M6 in England turns into the M74 in Scotland). At junction 43 on the M6, drivers can choose to take the A69 eastwards towards the concentrated mural goodness that awaits them, or venture westwards into Carlisle (with, most notably, Tullie House Museum and Art Gallery) and beyond to the western extremity of the Wall at Bowness-on-Solway. They may even decide to throw all caution to the wind and follow the putative western extension of Hadrian’s Wall (in reality just a fortified Roman road, but speak it softly, for scholars are keen on promoting it up to a full frontier) down as far as Maryport. This particular account will not make so bold and will continue to view Bowness as the western end of the Wall; should you decide to explore further, then good for you. To the east, the A1(M) and A1 western bypass provides a similar degree of access, although it is slightly closer to the concentration of remains in the central sector. 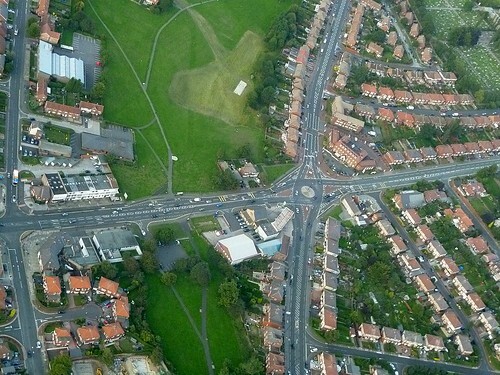 Turning off at the junction with the A69 allows travel westwards towards that central region, whilst heading east into Newcastle will ultimately lead to Wallsend by following a line still dictated by the Roman frontier. For those who eschew motorway driving and want more direct access to the central sector, there is the A68. Appropriately enough, both south and north of the Wall, this largely follows the course of the old Dere Street, the Roman road from York to Inveresk, and the route we must presume was favoured by the nearest legion, VI VIctrix, based in Eboracum. It is almost exclusively single carriageway, frequently hilly (so being stuck behind a truck wheezing its way up an incline is a familiar frustration), but a wonderfully scenic and leisurely way to arrive at Hadrian’s mural boundary. The modern infrastructure along the Wall is dictated by geology, geography, and history. A key component is the so-called Military Road, a macadamised highway built in 1751–7 as a direct response to Bonnie Prince Charlie’s successful march to the south in 1745, which the government forces based in Newcastle failed to intercept. Now followed by the B6318 (in the east), A69 towards the centre, and A689 and B6264 in the west, it still links Newcastle and the northern suburbs of Carlisle at Stanwix. Service stations with fuel along the Wall are few and far between, but a short journey to the south, especially along the A69, produces more locations where it is possible to refuel. These have been indicated on the accompanying maps. 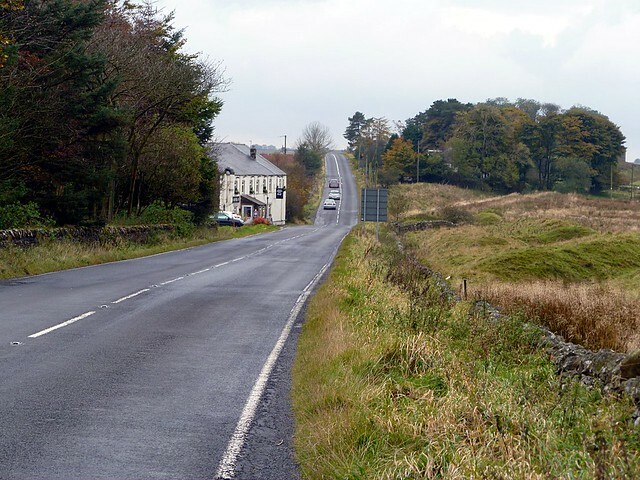 First, it is important to stress that the Military Road between Heddon-on-the-Wall and Greenhead (the B6318) is a clearway and parking along it is strictly forbidden. This is not a problem for the Wall visitor as there are plenty of formal car parks available as well as a few informal parking locations known to the wise. The principal car parks of use to the motorist visiting the Wall are those run by large organisations, particularly Northumberland National Park. These have ticket machines on site and a ticket bought at one is valid all day for any of their car parks (see their website for the current ticket prices, mostly £1 per hour except Steel Rigg, £2 per hour). An annual pass can be bought (again, see the website, but it is £30 in 2018). From west to east, these are Walltown Quarry (55 spaces), Cawfields Quarry (40 spaces), Steel Rigg (32 spaces), and Carrawburgh (40 spaces). Note that these sites are linked by the AD122 Hadrian’s Wall bus (when it is running) so can be used for a drive/walk/bus combination day out, if you’re feeling fit. The Park also runs several smaller, free, car parks, such as that near Thirlwall Castle and Crindledykes Lime Kiln and these too can be useful, as will become apparent. English Heritage run car parks at Chesters and Birdoswald, again using machines, and these (particularly the latter) can help with Wall exploration beyond just the forts they serve. Note that the NNP and EH car parking tickets are not interchangeable, so separate tickets are needed for a visit to, say, Chesters and Carrawburgh. Nobody has yet had the wit to provide one overarching Hadrian’s Wall parking ticket, sadly (some heads need knocking together here, I fear). 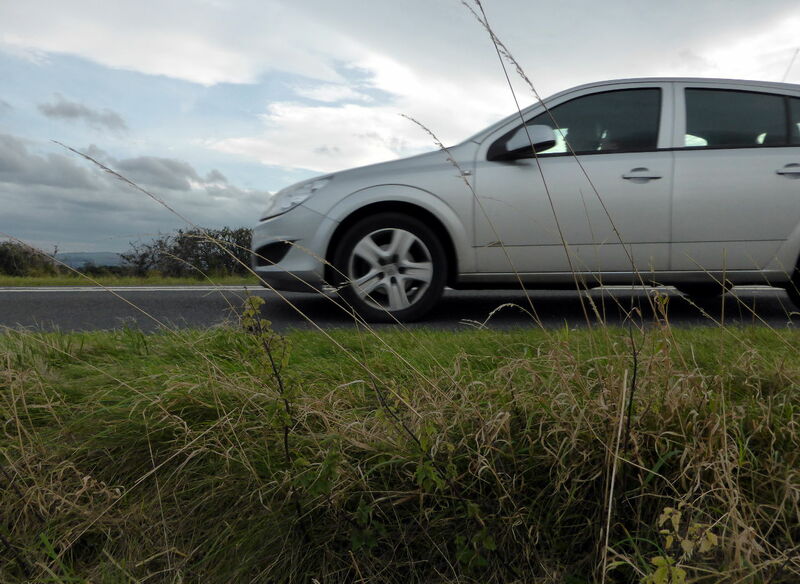 There are a few local authority car parks that are conveniently located, and these include one next to Banks East Turret and one at Gilsland, both in Cumbria. Finally, there are a few lay-bys that can be exploited by the visitor. Do not block farm gateways by using them for opportunistic parking and if for some reason tempted to stop on the narrow, unclassified road between Banks and Birdoswald, remember that it is used by the AD122 bus and agricultural machinery which you may very well obstruct. It should also be noted that what appears to be a lay-by at Limestone Corner is in fact a tractor pull-in* to enable them to turn; parking here can cause an obstruction. Always show due consideration for other road users as well as obeying the law. In what follows, each car park will be detailed individually, together with a gazetteer of sites that can be seen from it over a range of distances and for this I have chosen ranges of 100m, 500m, 1km, 2km, and occasionally 3km or even 4km. That allows virtually all of the Wall seen by those tackling the National Trail to be visited by the motorist who doesn’t mind a bit of a walk. The facilities (such as they are) for each car park are listed, together with a latitude and longitude to enable the visitor to find it with a satnav. The Wall sites are then separately set out alphabetically in what I am calling The Best Bits so that each can be looked up when needed (all are naturally hyperlinked). Finally, a series of maps shows graphically how far the various sites are from the car parks. It is always advisable to have, at the very least, a copy of the English Heritage Archaeological Map of Hadrian’s Wall, but further reading will be found in the bibliography that concludes this series. Of course, you can enjoy this account of the fixtures and fittings of Hadrian’s Wall from the proverbial comfort of your armchair, but it is intended as a practical guide, so any comments on its usability or reports of errors will be most welcome.